Key difference: Both, Blu-ray and DVD, are discs or CDs used for the purpose of entertainment or data storage. The differences between both the discs are based on their storage capacity, quality, player compatibility and image resolution, etc. Since a long time, recording discs have been a source of great entertainment. First it was the gramophone disc, then video recording cassettes and audio cassettes were used, and then it switched to CDs, which were then replaced by DVDs and the latest in that line are the Blu-ray discs. This article differentiates between Blu-rays and DVDs. 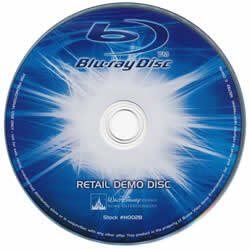 Blu-ray Disc (BD) is a digital optical disc data storage format which was designed to supersede the DVD format. It is the latest advancement in the world of optical discs. This format is considered as a notch high above the other discs, because of its better quality and more storage capacity. Blu- ray discs use laser beams to read the stored or internal data. The disc capacity is five to ten times more than other discs. The blue laser is one of the reasons for the higher capacity of the disc; it is used to read the data in the discs. Also, the use of improved lenses to focus on the smaller beams, helps to enable a high density pit on the disc. Here, the data layer is placed closer to the laser of the lens; this close proximity helps and allows improved precision and high density storage on the disc. A Blu- ray disc allows the recording and rewriting on the disc, which can also be done on high definition videos. The discs are sure expensive, because of their high resolution playback and large storage capacity. It is considered to be the technology of the future. The Digital Versatile or the Digital Video Disc, popularly known as DVD is an optical disc that can be played using a DVD player on a computer or a television set. This technology was released commercially at the end of the 1990’s. It revolutionized data storage. It was chosen for its ability to provide continuous reliable storage while withstanding scratches. The above mention discs are used to record and re-write data on a DVD disc. The data can be re-recorded, erased and then again rerecord as per the user’s needs. Although, these discs are expensive, the two formats are easily available. The DVDs use the MPEG-2 video format to compress the video data on the disc. It is a ‘container’ for HDTV videos. It is a ‘container’ for standard definition videos. It uses blue violet laser. It can store more information on the disk. It stores limited amount of information. The images are sharper, brighter and detailed in a movie. The images are less sharp, less bright and less detailed in a movie, as compared to Blu-ray. It cannot be played in a traditional DVD layer. It can be played in any video player. They help upscale the movie images. They do not upscale the movie images. Here, the storage space is more. The storage space is less. It can hold up-to 50 GB data on two layers. It can hold up-to 8.5 GB data on two layers. It has high resolution and superior audio. It has normal resolution and normal audio. It can output standard def up to 1080p HD and can use a HDMI cable. It can only output standard def with analog cables. The protective layer is thin and has a hard coating to make it scratch resistant. The layer is thick and designed to resist scratching. All blu-ray players can play DVDs. All DVD players cannot play blu-ray discs. They are not backwards compatible.